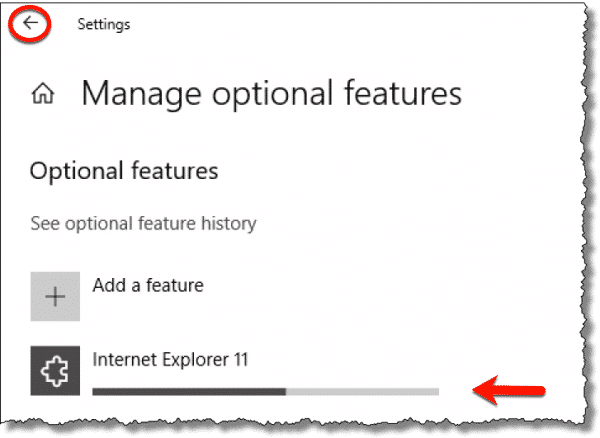 How Do I Uninstall and Reinstall Internet Explorer in Windows 10? - Ask Leo! Because Internet Explorer is really a component of Windows itself, uninstalling and reinstalling, while possible, is somewhat different than other applications and has different implications. Because it’s so tightly intertwined with Windows itself, repairing Internet Explorer (IE) by uninstalling and reinstalling has always been a somewhat obscure process. With the advent of Windows 10, that process changed. It’s no more or less obscure; it’s just different. Uninstalling IE can be marginally helpful if you never use it, but by resetting some of the software and settings reinstalling can be a useful diagnostic step if you’re having problems. Windows will then look like it’s uninstalling Internet Explorer, displaying a progress bar near the top of the page. When it’s done, you can close the Settings app. Note that I said it appears to be uninstalling IE. In fact, even when the process is done and you’ve closed the Settings app, Internet Explorer has not been completely uninstalled. If that’s all you wanted, you’re done, though you may want to read some the additional notes below on exactly what has and has not been uninstalled. So, what’s being uninstalled and reinstalled? My belief is that it’s mostly about the user interface — those portions of Internet Explorer you can actually see and interact with are removed or reinstalled. The “guts”, if you will, remain. 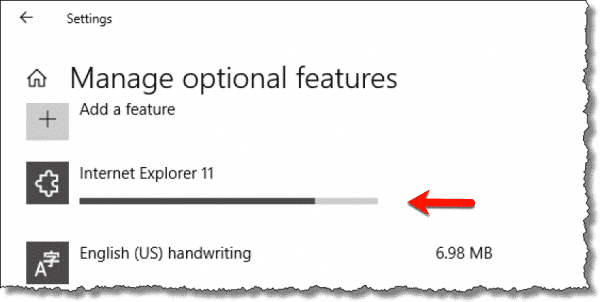 Edge Versus Internet Explorer - Microsoft's strategy to push Edge seems to be dooming both Edge and IE (and how you can get IE back in Windows 10). How do I fix Internet Explorer if it won’t open? - The error message actually leads us down the path that we need to repair your installation of Internet Explorer. Internet Explorer crashes, how do I fix it? - IExplore.exe, aka Internet Explorer or 'IE', can crash, but it's not always its fault. We'll look at some of the things that can cause IExplore.exe to crash, and steps you can take. « Previous post: What External Drive Should I Get? I don’t understand why people do this. I have a friend who does this because he hates MS but has to put up with Windows because of one piece of Widows only software. If you don’t like IE, just don’t use it. It doesn’t use any memory when it’s not running, and if you need to save that little bit of disk space, I think you’ve got bigger problems. There are a very few (fewer and fewer, fortunately) web sites that still require IE. And some people, honestly, prefer it. I generally use Edge (sometimes Chrome or Firefox if a site doesn’t seem to work well with Edge) but I have to keep IE, because if I get an email (in Outlook) which I need to open in Browser because it doesn’t display properly, then my PC insists on opening it in IE – even though I have changed all the settings I can find to use Edge as my default browser. Can anyone explain how I can force my PC NOT to use IE to open emails? – because I have Googled this several times and I seem to not be alone in having this problem! Hi Helen, you can easily do what you want by installing another browser of your choice and make it your “default” browser. This way your emails will be opened with your new browser and not with Internet Explorer. I do keep my IE on my computers but not use it, I never touch IE as I do not like it, I find it to be a fragile browser and it very easily gets crashed. But, I do keep it and not uninstall as there are few programs, like Quicken and QuickBooks, that do require IE to be on your system as it is a requirement by these programs. John – thanks but I’m not sure you have understood my question. I am happy to keep Edge as my default browser, I don’t want to change it. What I do want is for Outlook to use my default browser, whatever that might be, to open emails, and NOT to use IE. I am extremely disappointed with Internet Explorer with all its versions, since version 1 in 1995. I am an advanced PC user since Windows 3.1 in 1994, and I have used IE since its inception. I have always had issues with IE as I find it a very weak and a very poor browser. If you sneeze at it goes bad, it is a very fragile browser. I have stopped using this abysmal browser for many years. It is definitely not a robust browser and surprisingly it easily goes bad very easily. I am extremely disappointed with Microsoft to build such a lousy, poor and weak browser as I believe that Windows users deserve a much better and more robust and useful browser in their Windows OS. My highest recommendation is to use another browser, and luckily there are many to chose from. Thank you for this. IE11 has been misbehaving since the last Update. I’ve been wanting to reset it. Although I have Win 10 on my laptop I was using Win 7 on my PC together with IE. But it has become increasing clear then many websites are not properly compatible with IE eg I read a few newspapers and they are slow to load. I’ve tried both Chrome and Opera. Both work considerably faster and more reliably than IE and I finally opted for Opera which is the faster of the two, and which I’ve set as my preferred option. I’m still using Win 7 in preference to Win 10. 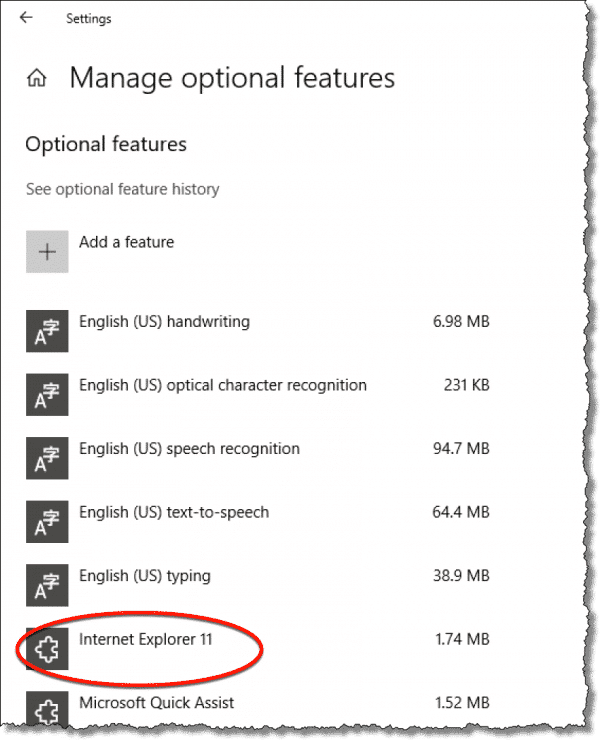 Uninstalled Internet Explorer 11 under Windows 10 Pro as outlined in your article above. Control Panel > Programs and Features > Turn Windows features on or off; restarted. Turned .NET Framework 3.5 back on; restarted, for good measure. Reinstlled IE 11, this time successfully, as in your article above. Six months or more ago I got the urge to purge, I decided to rid my computer of Internet Explorer forever from my Windows 10 laptop; I was using Edge, and occasionally Chrome so why keep IE? I decided to “free up some space”. I don’t know what I did, or how I did it, but I got rid of Internet Explorer. I did such a good job of it that following your instructions on this page simply don’t work. I knew I was doing something bad, and sure enough you write somewhere that Internet Explorer is kind of built into Windows 10, so I’m lucky my laptop still works at all. After reading your recent comment on Facebook I thought I’d re-instate IE just for the hell of it (can I say hell on a US web site?) but I cant, most of the files seem to be there but ixplore.exe is gone, could this be the problem? I was up for a challenge but this is ridiculous, I think I’ve broken it! I have about 10 computers and 8 of them are just for the purpose of “testing” Windows 10. No, I’ve never worked for Microsoft, but I started beta testing operating systems with Windows 95. So, over the years Microsoft has shot them selves in the foot numerous times, but they do get around to fixing things. The tough part is finding out that something has been fixed, or finding out that some other issue is the problem. During all my professional career I did use Windows and many Microsoft applications and many of their competitors products, some of which are not so compatible with Windows and others that were better. For the last 20 years I’ve been building computers and updating and solving Windows problems for small businesses, friends, and family just for the experience and personal satisfaction. What I found from all this is that Windows can get corrupted by all the “wonderful” other products on the market or from installations that go bad or even bad hardware. When this happens the solution is usually to uninstall the suspect apps and start over. The question is always how much has to be uninstalled. 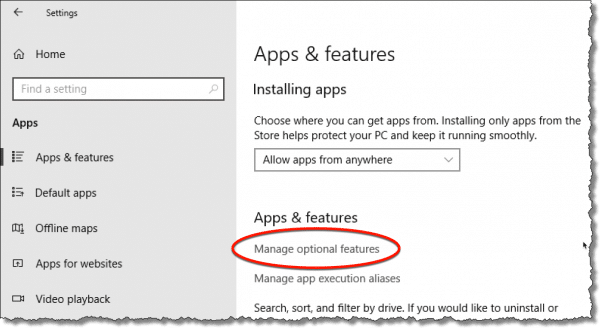 Today Windows 10 can be “reset” in two different ways, so it doesn’t hurt to first save the data and reinstall apps before going for the “clean” reset. 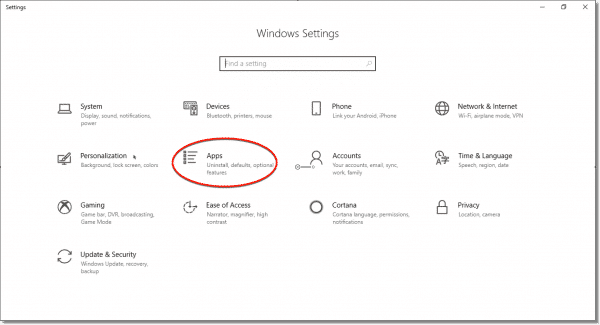 Depending on personal preferences, you can get just Microsoft products to work well. Not all of the “other” products will work just as well, but most mainstream products will work just as well too. The bottom line: trust sources like Ask Leo! as years of experience and hands on experience in the tech industry along with Six Sigma and other quality and reliability methodologies eliminates a lot of speculation and provides surprising answers. More than once I’ve discovered the root cause was not what I or someone else thought it was. Tried to reinstalll IE11 on Windows 10. At the Optional features section, i receive a message that there are no features to install. Not sure what to do.